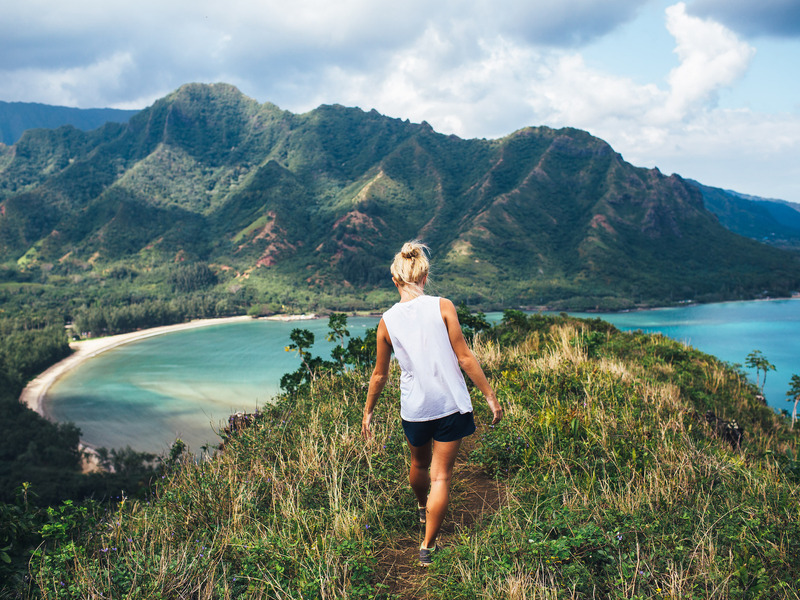 Shutterstock/Tyler OlsonIf you’re not sure how else you want to get your workout in, at least go for a walk — it can do a lot of good. Most adults don’t get enough exercise, but getting in shape is worth it, as it can extend life, prevent disease, and make you happier. In some ways, walking is the perfect exercise, as it’s accessible, easy, and free. By walking just 22 minutes a day, you can significantly transform your health. There’s little that can transform your overall health, physical and mental, as much as exercise. Working out regularly can extend your life, ward off heart disease and various cancers, rebuild the muscle and bone strength lost with age, and reduce levels of anxiety and depression. Perhaps best of all, you can start to get all those benefits just by deciding to regularly go for a walk. For many, getting started with fitness can be intimidating – weight training, interval sprints, and even certain bodyweight exercises might all seem a little too much if you aren’t familiar with where to begin. But people unsure about how they want to get started with fitness should take heart in a simple fact. Most research shows that doing just a little exercise is still vastly better than doing nothing. Stepping outside and walking down the street – or through a park or along a trail – is enough to start transforming your health. Even just a few minutes is better than none at all, and exceeding minimum health guidelines does provide additional benefits. But if you want a basic target to hit, aim for 22 minutes per day, or 30 minutes a day five days a week – a total of 150 minutes per week. Recommended physical activity guidelines call for healthy adults to do a minimum of two and half hours of moderate intensity activity – or 75 minutes of vigorous intensity activity – plus at least two muscle-strengthening days a week. Walking doesn’t get you all the way there, as it doesn’t include strength training. 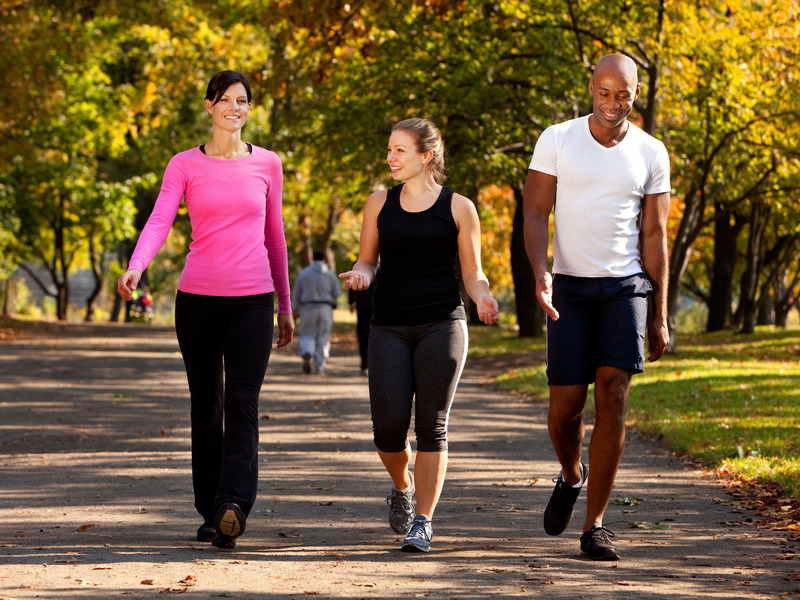 But even meeting the moderate activity guidelines with a regular walking habit can do a lot. According to one large study of older adults published in the American Journal of Preventative Medicine that looked at 62,178 men and 77,077 women, people who walk at least 150 minutes per week were about 20% less likely to die than inactive adults during the 13-year study period. “Walking has been described as the ‘perfect exercise’ because it is a simple action that is free, convenient, does not require any special equipment or training, and can be done at any age,” the authors wrote in their conclusion. It is worth trying to keep up a decent pace, however. Another study of more than 50,000 adults in the UK found that people who walked regularly at an average or quick pace were about 20% less likely to die – and 24% less likely to die from heart disease – when compared to slow walkers. While life extension and disease reduction are important, those aren’t the only reasons to go for a walk. Smaller studies have shown that even a 30-minute walk on a treadmill is enough to lift the mood of someone suffering from major depressive disorder. None of this is to say you shouldn’t eventually start incorporating strength training and other forms of exercise into your routine – there are reasons why those exercises are included in fitness guidelines. But if you just wanted to get started in a simple way, know that going for a walk can be more powerful than it seems.